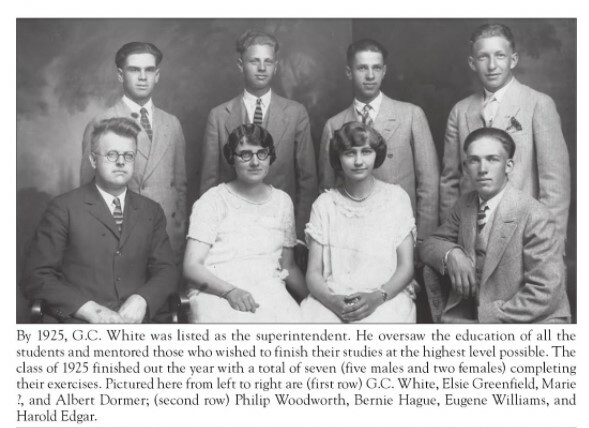 The First High School "Central"
Prior to 1922, ten separate school districts existed in Meridian Township all within a 5 mile radius of Okemos for children in grades K-8. There was no high school. A student of high school age would have to go either to Mason or Lansing to further their education. 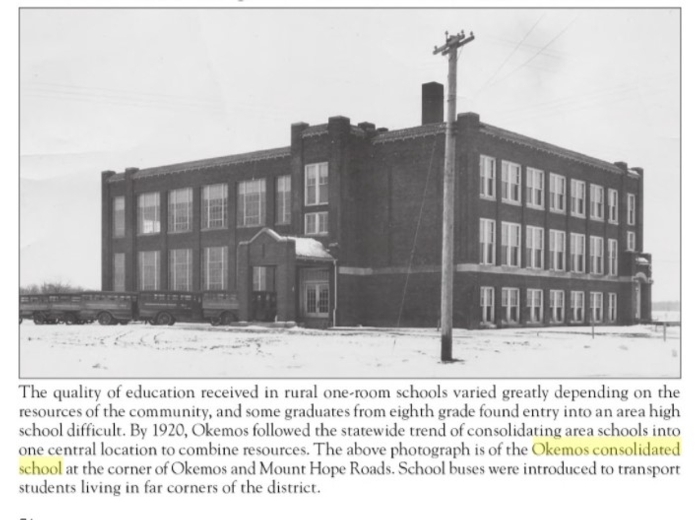 In January and February of 1920 Dennis Benjamin (1878-1947), a director of one of the ten school districts, proposed that they be consolidated under one system and that a high school be built in Okemos. There were 220 students in the combined K-8 systems costing a total of $10,128.71 in the 1918-1919 school year, for an average of $42.55 per pupil. He reasoned that a consolidated system would be more cost efficient. For example, the recently formed Mattawan consolidated school system covering more grades, K-12, cost only $40.59 per pupil. In March 1920 the voters approved school consolidation and allocated some $30,000 (it eventually cost some $90,000 or $1.1 million in 2017 dollars) for construction of a new consolidated agricultural high school. The new Meridian Consolidated Agricultural School, number 2 (as it was called before 1923) was dedicated in August, 1923. 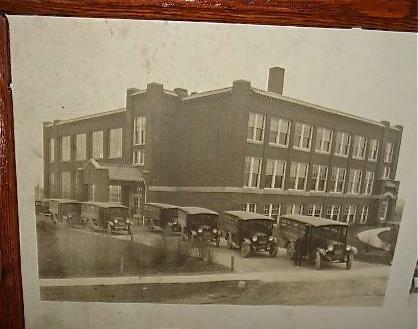 The school opened in May of 1923 with a total enrollment of 220 and was considered a success. 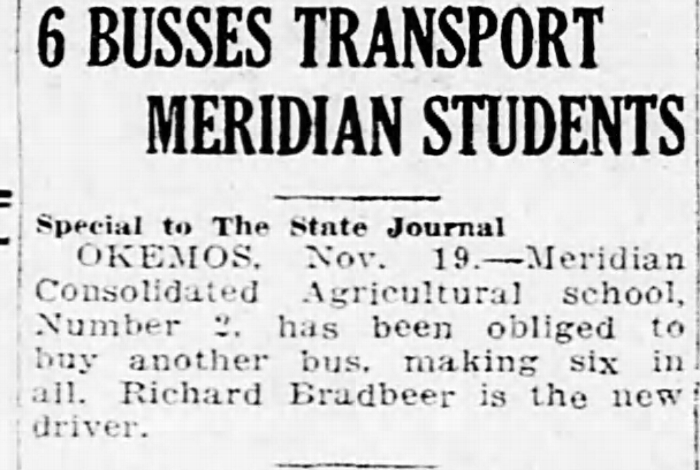 A bronze tablet honoring Chief Okemos was unveiled on Friday, October 22, 1923 in front of a gathering of 500 people (Lansing State Journal, October 22, 1923, page 11). 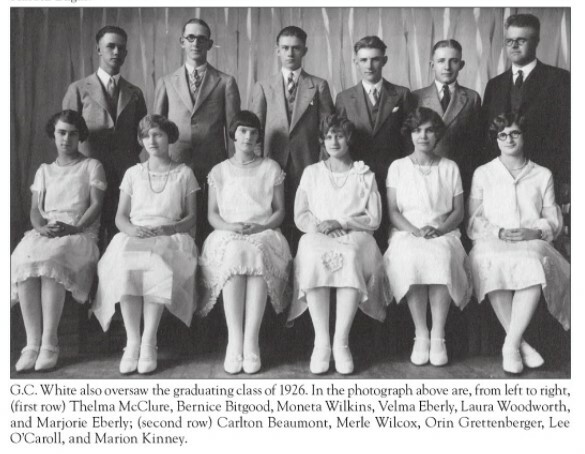 The high school's first graduation commencement was held in May, 1923, with two (2) graduates. They had been attending Grand Ledge, Mason and East Lansing High School previously. The graduating class of 1925 numbered 7 students; the class of 1926, 11 students. Click here for a history of the schools before 1923.